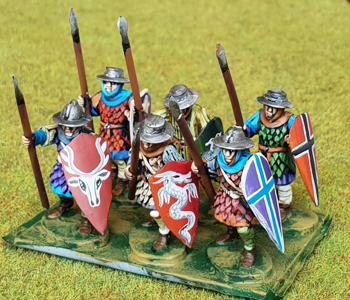 Changed title from "Tutonic Knights" to "Teutonic Knights"
Nice to see individual designs on each shield. 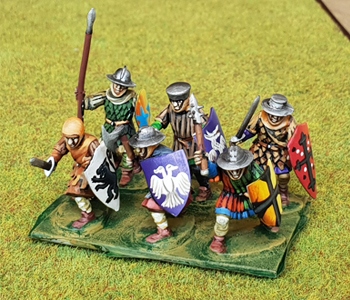 Truly lovely but those are not "Teutonic" Knights. 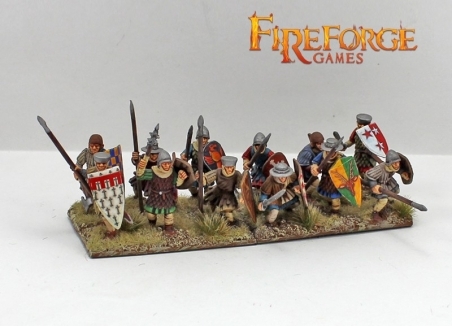 They are not even Knights, those are Fireforge Foot Sergeants figures. 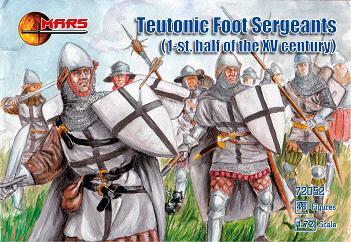 Teutonic sergeants wore grey surcoats with a black "Tau" cross. Thanks for Correcting the Name. I thought you guys had all the uniform information in the world and didn't need customers to send any information? The website clearly indicates that while they have numerous Ospreys and "web-pages", you have to reference them to the figure you sent. 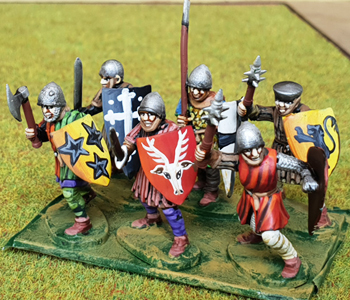 Teutonic sergeants wore grey surcoats with a black "Tau" cross. Everyone says that, but does anyone know the original source? I don't think I have ever seen one cited. Does it apply to the whole period of the Order's history? Sorry I do not know why that beep came out in my post…the beeped word is "ranked" though! This according to more recent studies and German Source. Sorry, but this sort of vagueness is sort of what I meant by "never seen an original source cited". The idea that there was a confusion between sergeants and Halbbruder is some help, though; thanks. Also Teutonic is a definition that was never used historically used as the order was known as German Order. That's half correct, I think; always Deutscher Orden or the like when writing in German, but always Teutonicus in Latin – Ordo domus Sanctæ Mariæ Theutonicorum Hierosolymitanorum.